Schnitzelburg Area Community Council: November Newsletter & More! Check out the November SACC Newsletter here! On Thursday, November 9th, SACC will host the 52nd Annual #1 Citizen Dinner! We hope you will join us for this fun event! An evening of meeting some great neighbors & local dignitaries, as well as enjoying a German-style dinner, winning some awesome door prizes, bidding on auction items and best of all honoring this year's award recipient! 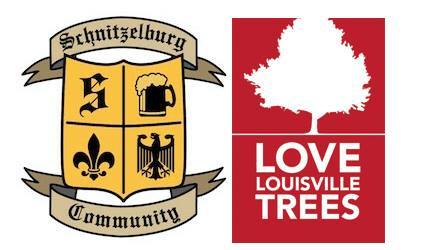 Volunteers are still needed for the Love Louisville Trees Planting on November 11. Help us make Schnitzelburg greener! Please email volunteer@louisvillegrows.org to sign up for the tree planting on Saturday. Volunteers will gather at the AmVets Post (1567 S. Shelby Street, Louisville, KY 40217) between 8 am and 8:30 am on Saturday so there will be enough time to register, complete a waiver, and allow time for some coffee and breakfast provided by Love Louisville Trees! We hope to see you at the next SACC Neighborhood Meeting on Monday, November 27th. The 2018 Board of Directors will be voted into office by dues paying SACC business & household members. If you are interested in joining SACC, please fill out a Board Member Application and send it to schnitzelburg@yahoo.com. I have been waiting for the November newsletter more than anything else as I had missed some of the updates that I should have known. Thanks for sharing it. This is really awesome article keep it up.